I've only been collecting for a couple years, but the idea of a birthday (month/year) watch was planted in the back of my mind. 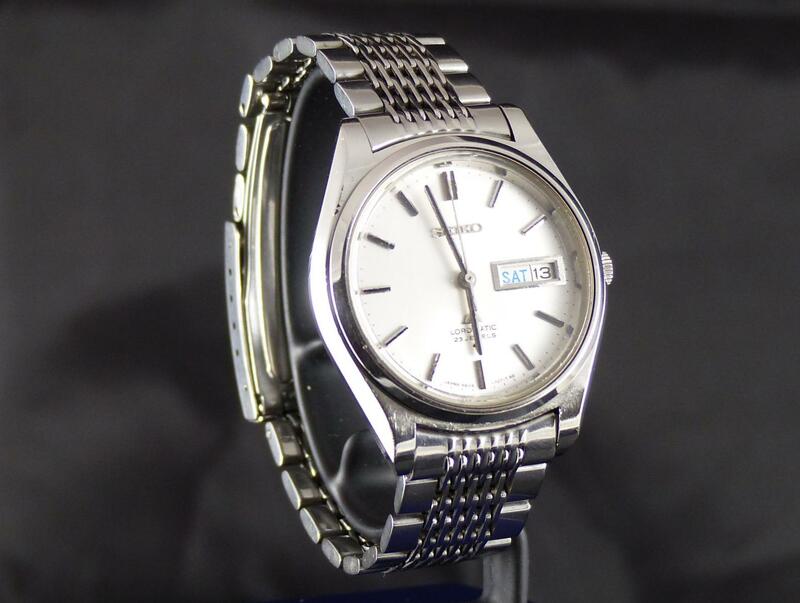 Given the choices of movements in my time frame, I decided on a Seiko LM, either a 5206, 5216, or 5606. KS or GS is a little too dear for my budget for what was going to be a novelty watch more than something for daily wear. Searching on Yahoo Japan and eBay, there were a lot of leads, but most either went beyond my budget, or had too many condition issues. Picked up a couple birth year watches in the process, a 5206 and 5606, but still hadn't found the elusive month/year combo until last week. A week in transit from Japan, and it arrived today. Yes, the crystal is banged up, but that's fixable if I want to, and there's some scrapes and scratches, but the day/date quickset works fine, and for a nearly 50 year old watch, I'm fine with the overall condition. Running about +16 sec/day flat on my timegrapher, but given I'll wear it once a month, if that, it's good enough. Maybe I'll treat it to a crystal and overhaul, or I might just leave it as is. Some photos after ultrasonic cleaning of the bracelet, and a little cleaning/polishing by hand. A nice looking LM. Bracelet cleaned up nicely too. Neat looking original bracelet. I don’t know if I found a watch my age in that condition I’d be tempted to leave it alone and see which one of us is in better shape in the end. But congratulations cool birthday present for yourself. But cleaning and oiling wouldn’t hurt it. Your correct Reflex machines like clean oil. I was talking more about the crystal. I will send it off for servicing it in the future, but for now, I'm happy to have found my 'birthday' watch after a long search. 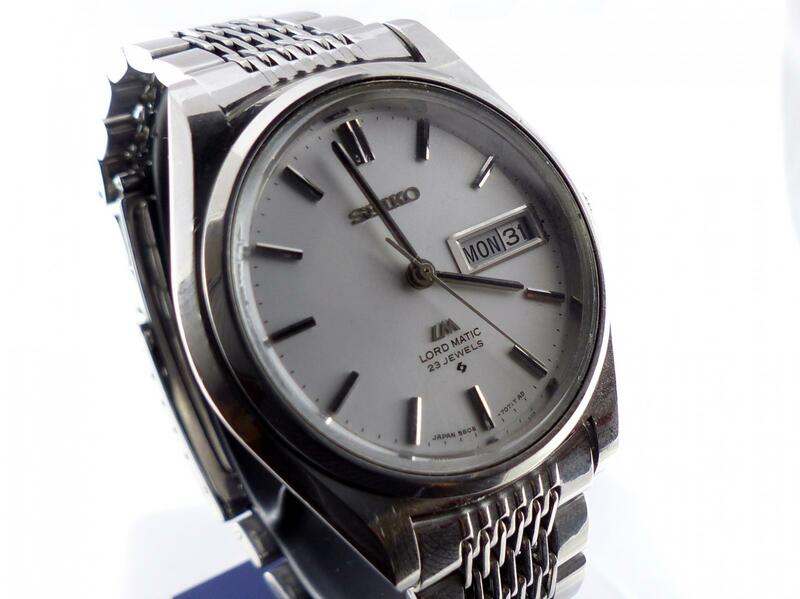 I even went as far as getting a couple other cosmetically challenged, but good working 5606 watches around the same vintage in the event spare parts are needed and otherwise unavailable. Interestingly enough, both have working quickset day/date, the known weak point of the 5606. Regardless, I'm not looking for a full 'restoration', keeping it original as possible is my goal, but I might spring for a new crystal just so I can see the hands and dial more clearly. Just need to mull over the choices out there for who to use for servicing, since I'm not just looking for service, not a full restoration/refinish. For now, after a full wind, sitting dial up on my coffee table, it's gained about 8 seconds in the past 14 hours. I'll probably wear it a few days this week and see how it does on a wrist. That looks very nice, happy birthday. There's a hunt i may look into. No thanks necessary, i hereby withdraw said well wishes. That's a neat idea i'll have to see what my date has in tow. Wow this watch looks like a million $ AtlCal ! Huge congrats !!! Check out that bracelet, and classic, super clean design !!! Such a terrific find ! After wearing it a few times, I decided this is a keeper. 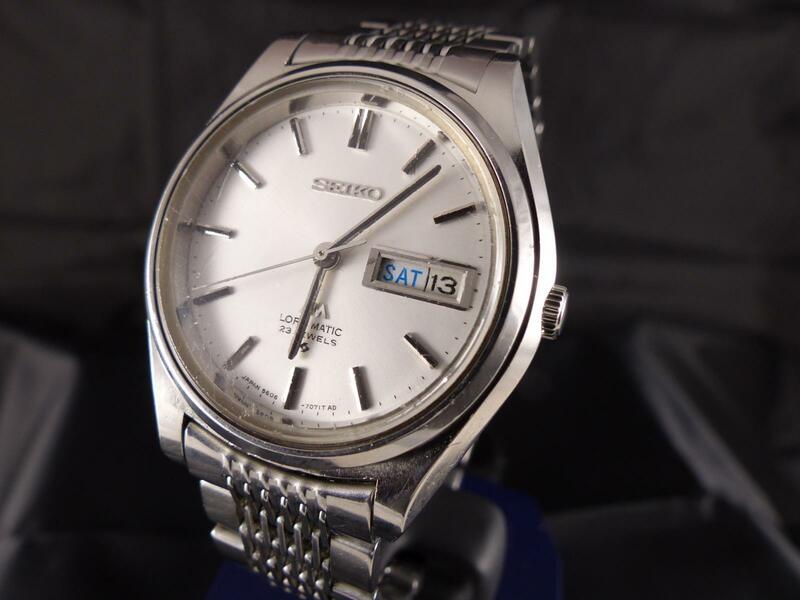 I don't know any Seiko experts near me, so I did some research and found Bruce's Seiko Service Center. Spoke to him on the phone, explained what I had and what I wanted, and his pricing seemed very reasonable. 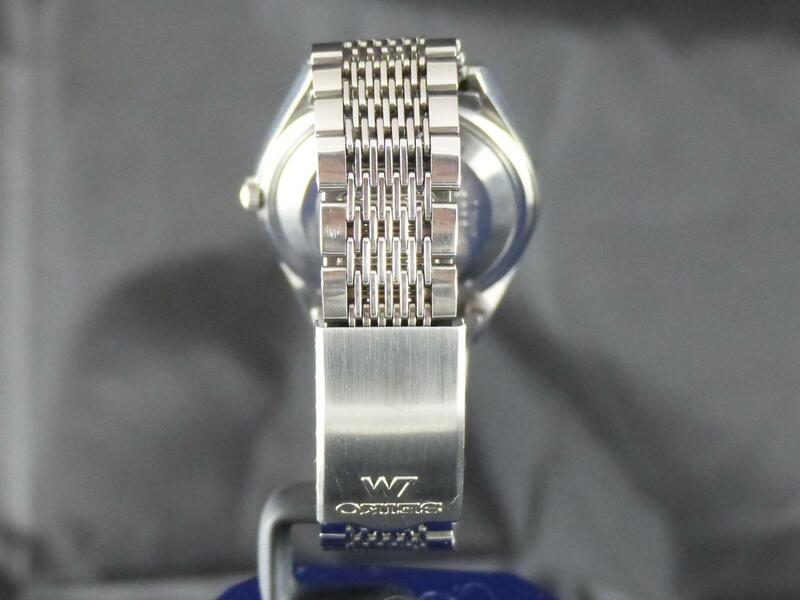 His backlog was about a month, but since this is not going to be my daily wear watch, I wouldn't miss it. About a month after I sent it in, he called to confirm the estimate was what we originally discussed, but the crystal was not available. He could source a crystal, but might have to detach the bezel ring from the old one and reuse it on the new one, if I was willing to wait. No problem, still not in a rush. He emailed me Friday to let me know it was complete and on the way back to me. So, here's the finished product, crystal looks great, and the dial looks even better through a fresh crystal. No smudges or crud on the dial, markers look great, handss are the weakest aspect, but overall, it looks more than just presentable, and might get a bit more wrist time than I originally thought. That looks very nice. i haven't found the right & reasonably priced piece, yet. I feel your pain, I probably spent hundreds of hours browsing auctions, forums, and picking up a few duds before finding this one. Like you, there was a price point I was not willing to cross, but thankfully, there was a good variety of movements from my birth year (1969) to choose from. 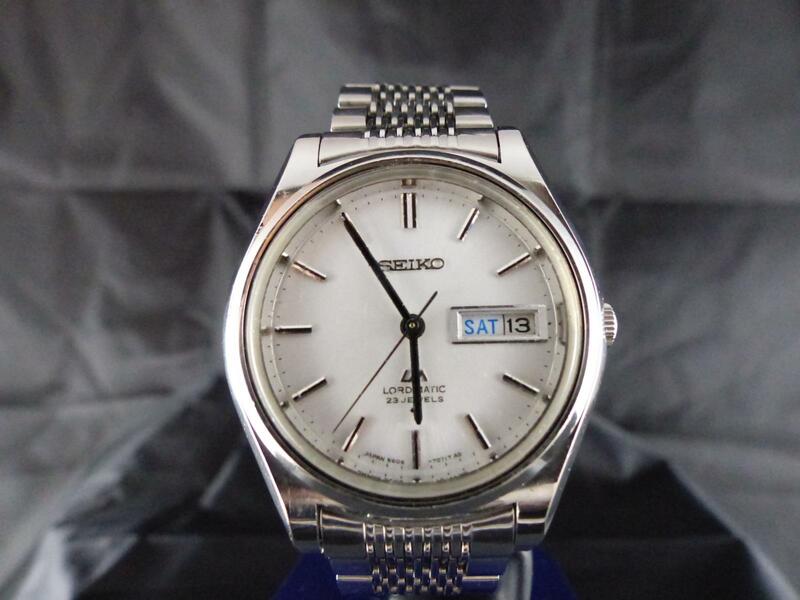 My preference was a mid/high end Seiko or Citizen, maybe a Lord Matic or King Seiko, or a Leopard. 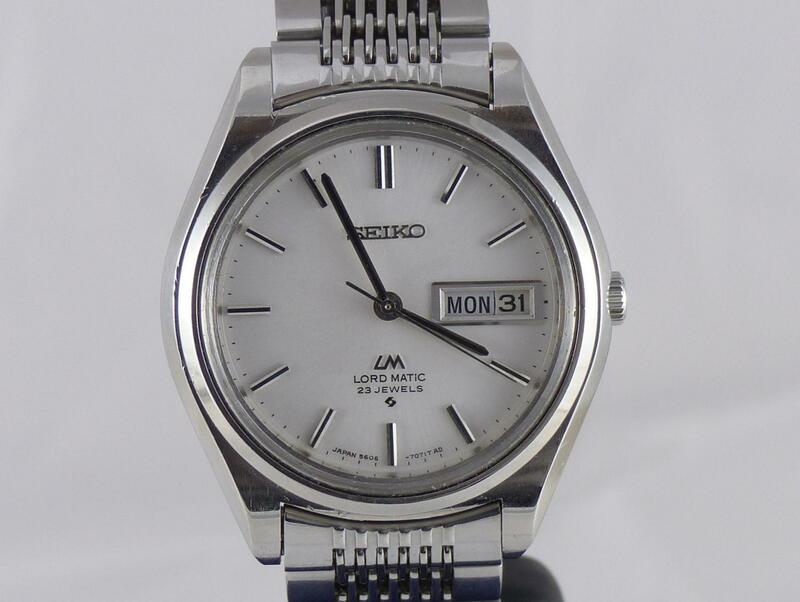 In the end, this one fit the bill, clean dial, not some overly polished case that lost all of it's lines, and an original band. 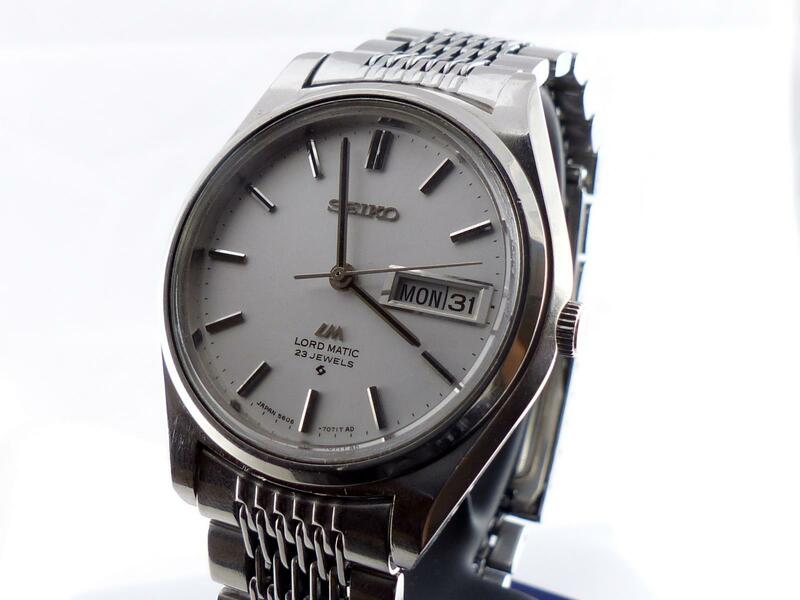 For the price of a modern entry level automatic Seiko, I've got a freshly serviced vintage watch with a new crystal that will probably outlast me. After the service, putting it on a timegrapher, I figured out after a day of wear, leaving it crown up overnight, I'm about +3 seconds a day. Perfectly reasonable accuracy for occasional wear. I don't think I'll leave it on a winder, just wind, set, and go every couple of weeks when I want a break from the modern collection.